Put a loving touch into your designs with the Nunn Design antique silver-plated pewter mini hammered flat heart tag charm. This flat, heart-shaped charm features a stringing hole drilled through the top side, so it will dangle cutely from designs. It is versatile in size, so you can add it to necklaces, bracelets or even earrings. Use metal stamps to create a personalized look. The hammered texture will add an interesting look to designs. This charm features a versatile silver shine. Keep your designs sleek with this Nunn Design charm. This smooth, flat charm takes on the shape of an arrowhead with a point at the bottom. You can use this charm as-is or decorate it with metal stamps, epoxy clay, or other mixed media elements. A hole at the top of the charm makes it easy to add to designs. Add it to necklaces, bracelets, and even earrings. 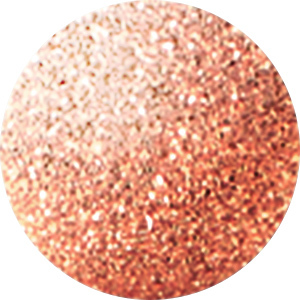 It features a warm copper glow that will add fire to your looks. Creative possibilities abound in this Nunn Design tag pendant. It features an elongated diamond shape. One side has a handmade look and feel, while the other side has a flat and even surface. This tag is ideal for metal stamping and resin work. You'll love how the elongated shape dangles in designs. This pendant features a rich gold color full of classic appeal. This rectangle tag provides the perfect opportunity for embellishment. Attach it to a necklace or bracelet as an accent. To decorate this piece, try applying a transfer sheet to its surface to add a fun word or pattern. You could even use a Nunn Design StazOn ink pad and your favorite stamps for a different look, finishing with sealant to protect your work. Add a personal touch to your designs with this circle tag from Nunn Design. This plain tag contains a hole near one edge for attaching it to designs and is created from silver-plated pewter. The antique finish adds a weathered appearance that is perfect when a vintage or rustic look is desired. Try embellishing this tag with a transfer from the Nunn Design Carta Collection and protecting it with a sealant. You can also position this tag behind other components for a neat layered result. Add an organic accent to designs with this Nunn Design charm. This small charm features a circular shape and a surface with a handmade look and feel on the front. The back is smooth and flat, so it will lay nicely in designs. You can use this tag as-is or try metal-stamping the surface. It's perfect for showcasing a meaningful initial or number. Layer several together for an eclectic look. This charm features a warm copper color full of rich beauty. Start with this Nunn Design pendant for a unique look in your jewelry designs. This pendant features a long oval shape full of versatility. The front surface features a textured dimension, for a handmade, artisan look. The back of this pendant is flat. Display this pendant as it is in your designs, or customize it with metal stamping or by adding epoxy clay, resin, and more. The hole at the top of this pendant makes it easy to add to designs. Showcase it in your next necklace project. It features a warm copper glow. Organic style fills this Nunn Design charm. This charm features a lovely oval shape, the perfect complement to many styles. The front surface features a textured dimension, for a handmade, artisan look. The back of this charm is flat. Display this charm as it is in your designs, or customize it with metal stamping or by adding epoxy clay, resin, and more. The hole at the top of this charm makes it easy to add to designs. You can use this charm in delicate necklaces, layered charm bracelets, and even earrings. It features a versatile silver shine. Customize your designs with this circle tag from Nunn Design. This plain circular tag features a hole near one edge for attaching it to designs and is created from silver-plated pewter. The antique finish results in a weathered appearance that is perfect when a vintage or rustic look is desired. Try embellishing this tag with a transfer from the Nunn Design Carta collection and protecting it with a sealant. For statement style, try this Nunn Design charm. This smooth, flat charm takes on the shape of an arrowhead with a point at the bottom. You can use this charm as-is or decorate it with metal stamps, epoxy clay, or other mixed media elements. A hole at the top of the charm makes it easy to add to designs. Add it to necklaces, bracelets, and even earrings. It features a versatile silver shine that will work with any color palette.